A Quaker City catalog (circa 1909) of 50 pages with 74 designs, 34 of which do not appear in the previous Quaker City ACGA catalog. In conjunction with this catalog is one from the Liberty Glass Works of Egg Harbor City, New Jersey. The President of Liberty, Thomas P. Strittmatter, was also the Treasurer and Secretary of Quaker City. 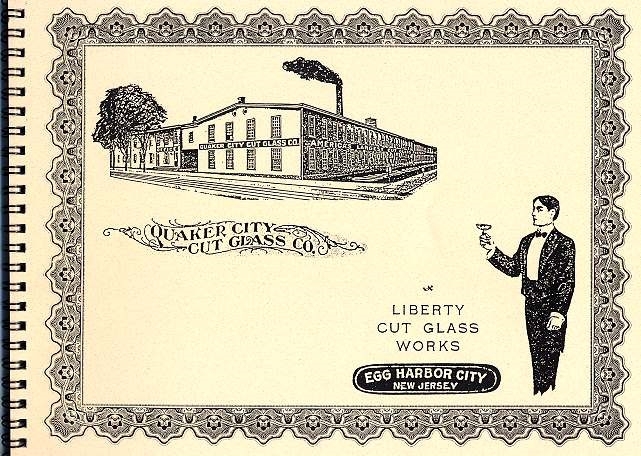 The undated Liberty catalog consists of 29 pages featuring 47 designs, including cover pages and a nine-page section on the care and manufacture of cut glass. At least five of the more complex Liberty designs are identical to Quaker City designs! Liberty sold directly to the consumer, bypassing both jobbers and retailers. From 1911-1917, they maintained a showroom on fashionable Fifth Ave. in New York City. The catalog is reproduced from Xerox copies and is spiral-bound for ease of use.